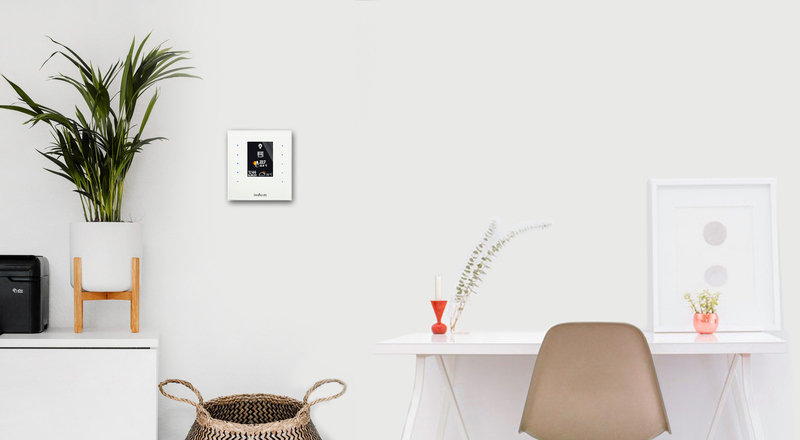 Now, it is the end of crowded switch groups and standard room thermostat era. With capacitive touchscreen smart room switches, you can access all control abilities of a smart home system. 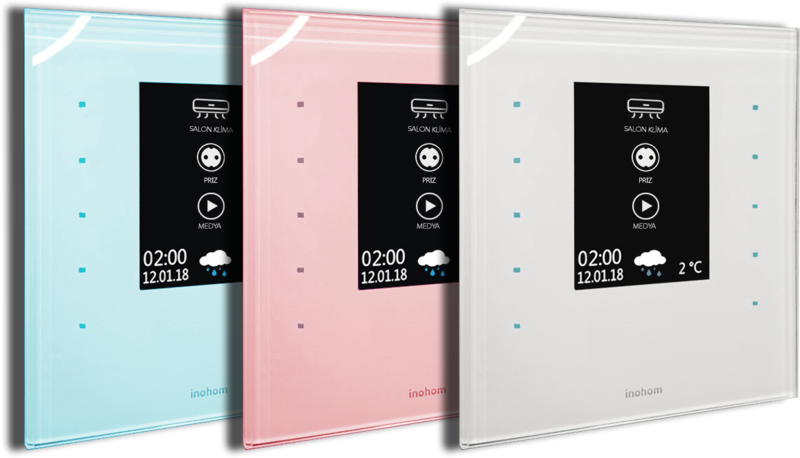 Also, with inohom smart room switch that has smart room thermostat, you can control lighting, curtain-blinds, heating systems, and different scenarios. Smart room switches offer aesthetic look and technology together with tempered glass design and different colour options. Temperature of the room is measured and this temperature is kept at set values. 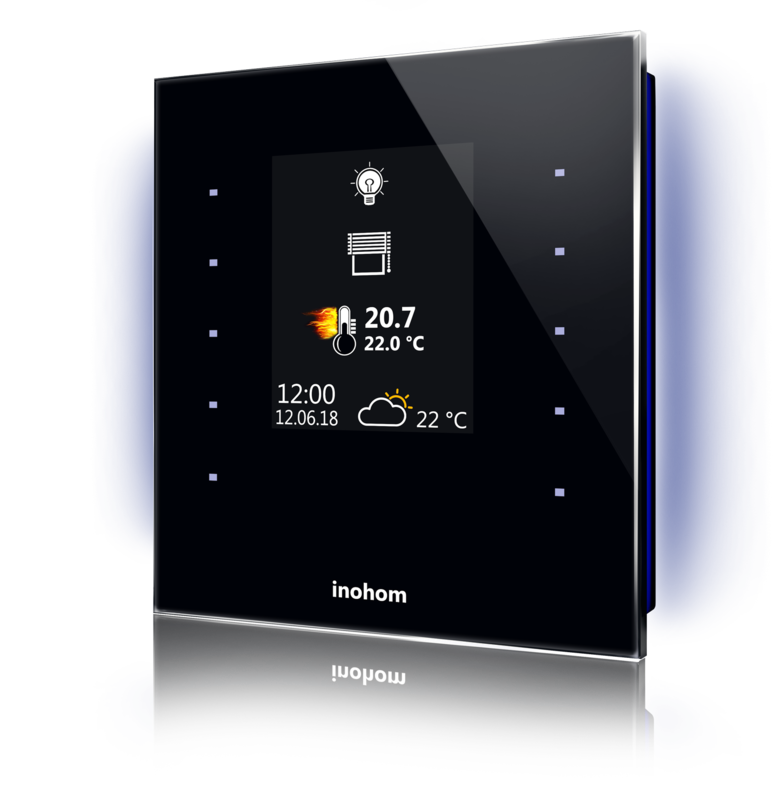 While using built-in outputs, this panel wirelessly communicates with other inohom products. With 4 16A relay output and 1 0-10V output, various controls can be made. By adding 80 controls on 20 page, this switch is the most advanced switch in the world. There are different colours options specific to your project. With wall mounting apparatus, this panel can be mounted on any surface.